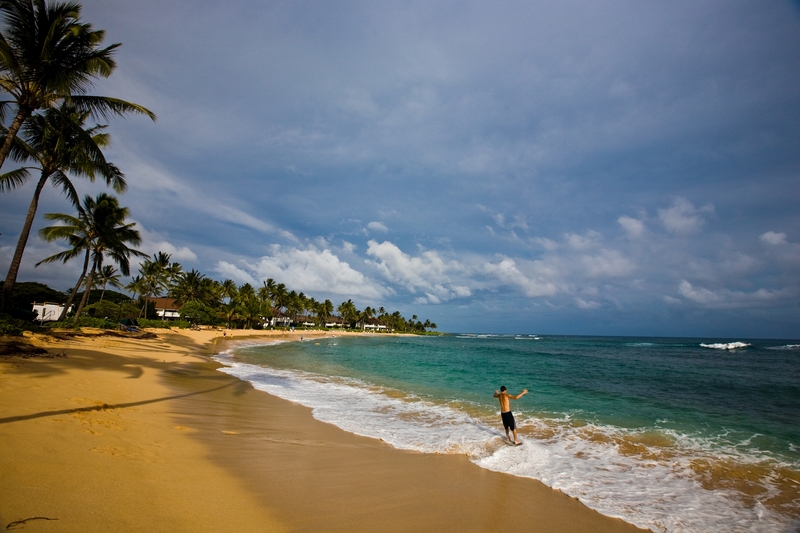 Where Are the Riskiest Beaches in Hawaii? If you’re in Hawaii for any extended length of time, you may start to notice something in the news: Reports about drownings, near drownings, and rescues. Unfortunately, the sheer quantity of out-of-state visitors to Hawaii means many folks underestimate the power of Hawaii waves and waters. Locals, too, can get into trouble in Hawaii waters, even if they’ve been to that particular beach dozens of times. From 2005-2014, there were 69 total drownings, that’s about 2 to 11 per year. Mostly (75%) were non-residents. There was no clear trend regarding how and when they occurred. When you break the drownings down by activity, you’ll find swimming accounted for 30%, and snorkeling accounted for 23%. Poipu area: 9 drownings: All drowning victims were non-residents (all US). There was no distinct trend regarding seasonality. And, the area only had one drowning since 2011. 9 drownings happened in Poipu on Kauai from 2005-2014. All drowning victims were non-residents (all US). There was no distinct trend regarding seasonality. And, the area only had one drowning since 2011. Kee-Princeville: 15 drownings: 12 of the drowning victims were non-residents (all US). 11 drownings happened during October through March. Three drownings occured at Queen’s Bath. There have been no drownings since 2008 (7 from 1999 to 2008). During the same time period, 273 people drowned on Oahu, which is about 19 to 43 per year. There’s no consistent trend with the data. Slightly more residents (57%) drowned than residents. And, there was a wide distribution of activities that were involved in the drownings. Eastern Oahu (Honolulu-Kailua) 40 drownings happened in Eastern Oahu. 52% were residents. There was no seasonality. This area accounted for 164 drownings, which is 58% of the total. Leeward Coast: 40 drownings happened here. 52% were residents. The data showed no seasonality. North Shore: 23 drownings occurred in this area. Only 9 (39%) happened from Oct-March 16. 70% were residents. On Maui, from 2005-2014, 125 people drowned, which breaks-down to about 6 to 19 per year (115 on Maui, 7 Molokai, 3 on Lanai). The number of drownings have been increasing, and they’re mostly non-residents (73%). The activities victims are doing when they drown are snorkeling Snorkeling (42%) and swimming (20%). Kamaole-Oneloa (Big Beach): 27 drownings total. 24 were non-residents (20 US). 15 drownings have happened since 2010. There is little seasonality. 6 occurred at Makena Big (3) or Little (3) Beach, but only 2 have happened since 2010. 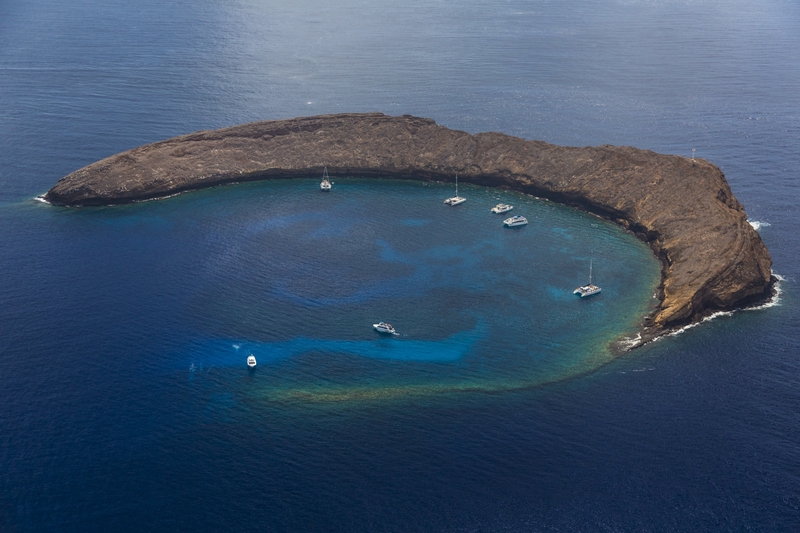 Molokini: 8 total (7 from 2011-2014). At Molokini, from 2005-2014, 8 people drowned. Kaanapali: 34 drownings total. 33 were non-residents (29 from the US). 20 drownings happened from 2011, including 8 in 2014. The data shows no seasonality. 15 happened in the Black Rock area. Ten have happened there since 2011. From 2005-2014, 104 total people drowned on the Big Island. That’s 4 to 16 per year. The data showed no consistent trend. There were slightly more residents (56%) than non-residents. That data showed no particular activity was associated with drowning. Instead, there was a wide distribution of activities associated with drowning. So, what can you learn from all the data? Lots of things, INCLUDING the recommendation that you should always heed beach warnings, stay with a group or friend, and consider taking organized snorkeling tours, instead of venturing out on your own. Stay safe, be smart, and use this information to identify the riskiest beaches in Hawaii.